India won a Test series on Australian soil for the first time. The Indian team had a pretty lacklustre year in 2018 as they lost the three-match Test series against South Africa followed by the five-match Test series against England back in August-September. However, 2019 has started on a happy note for them as they have managed to beat Australia in the four-match Test series, the last encounter of which was played this year from January 3. Furthermore, Virat Kohli and Co won their maiden Test series on Australian soil in their 71-year-old cricketing history. Quite expectantly, the team management is undoubtedly delighted with the stupendous performance. In the meantime, it has been learned that the Board of Control for Cricket in India (BCCI) announced lucrative cash prizes for both the players and the support staff. The players, who made it to the playing eleven would get a per-match amount of INR 15 lakhs, even as the ones benched, would get INR 7.5 lakhs. The coaches would get INR 25 lakhs for their relentless work behind the scenes as per reports in Cricket Next. The hosts didn’t have the services of David Warner and Steve Smith, but their absence couldn’t undermine India’s incredible shows in the series. India had to fight hard in the first Test at Adelaide Oval, but they eventually held their nerve and won the match by 31 runs to take a 1-0 lead in the series. 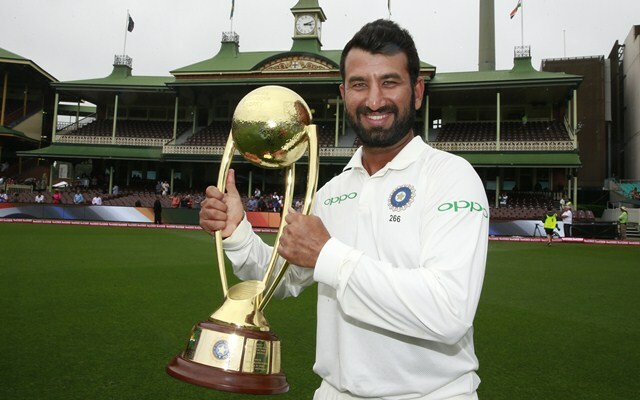 Cheteshwar Pujara was the player of the match for a century followed by a half-century. India couldn’t carry on with their momentum and lost the second Test at the new Perth Stadium, where they were blown away by a mammoth 146 runs. However, the visiting team showed character and won the third and penultimate Test by 146 runs at the iconic Melbourne Cricket Ground (MCG). Pujara and fast bowler Jasprit Bumrah helped the visitors script the victory. In the last and final Test at the Sydney Cricket Ground (SCG), India were in a decent position after scoring 622 in the first innings, but relentless rain robbed India off another thumping win.